Today is the birthday of Gustav Hodel (April 30, 1875-July 3, 1966). Hodel was born in Emmendingen, Baden, Germany, the youngest of seven. His father, Christian Hodel, owned the local Hodel Brewery. 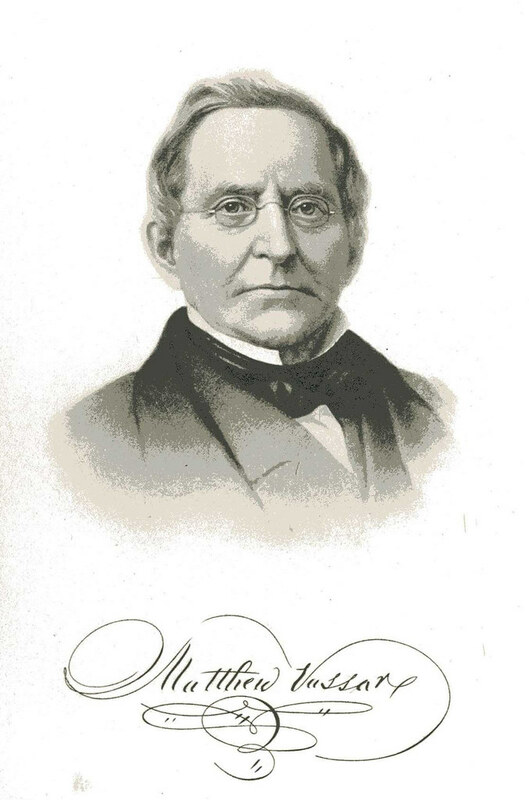 One of his brother’s emigrated to America and became a maltser in Nebraska, then another brother came and became a brewer, and eventually so did Gustav, who everybody called “Gus.” He started in one brother’s brewery in Galena, Illinois but struck out on his own and either owned or worked for a number of different breweries over the course of a 56-year career in beer. He retired in 1946 to Santa Cruz, California to be closer to his daughters, where he remained until his death in 1966. 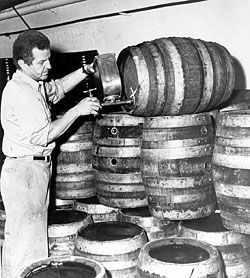 Brewery Gems has a great account of Hodel’s life, apparently with considerable help from Gus Hodel’s grandson, William “Bill” Whetton. And given that it’s the only source I could find, your best bet it to just go read it there. 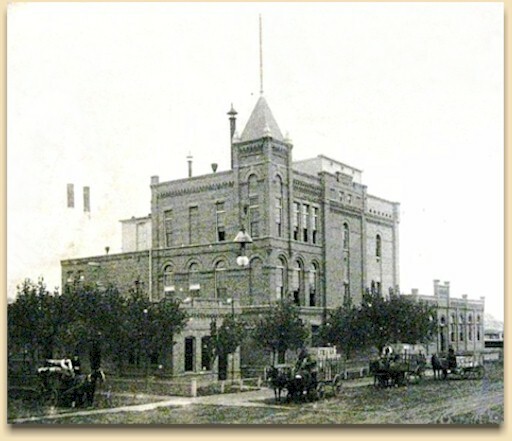 Billings Brewing Co. in Montana, just one of many where Hodel worked. Today is the birthday of Lawrence Steese (April 20, 1912-April 19, 1991). Steese is part of the more recent lore of Anchor Brewing. Originally from Mill Valley, in Marin County, he bought Anchor in 1960 when Joe Allen was retiring, though Allen stayed around to teach him how to make Steam Beer. 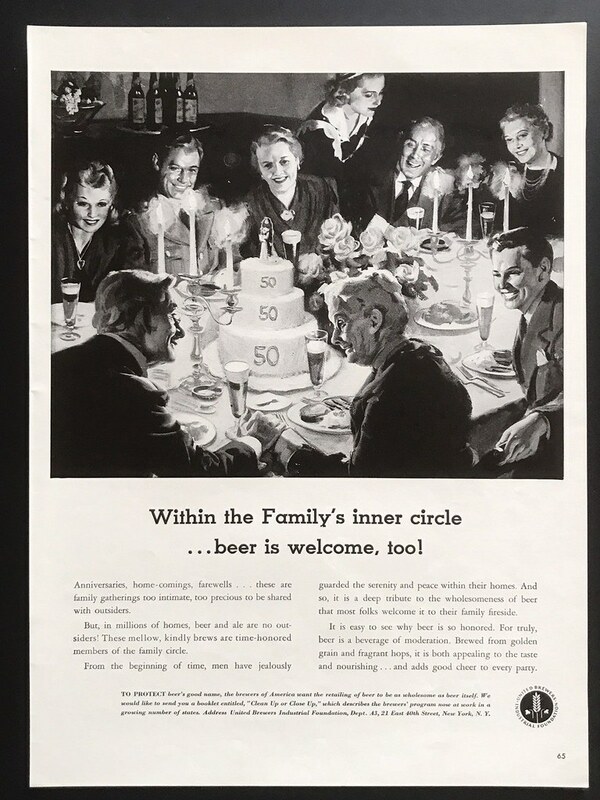 Fifty-one percent of the brewery was then bought by Fritz Maytag, who eventually bought out Steese and assumed full control. 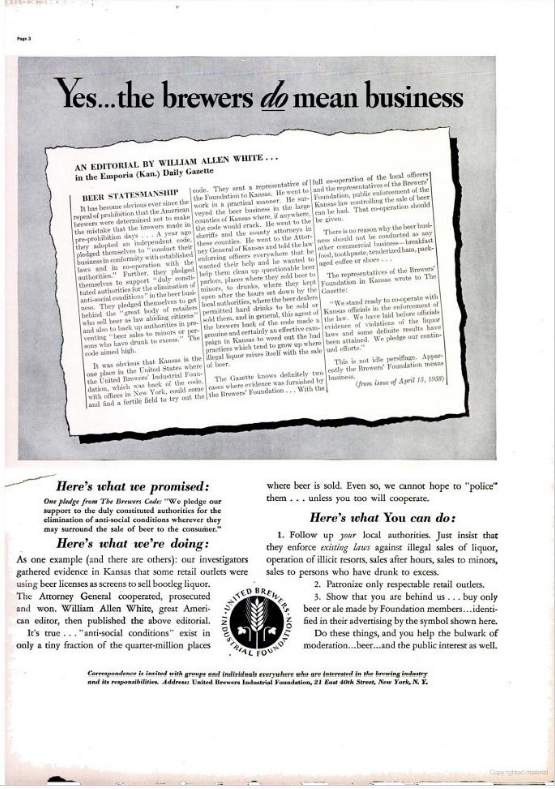 Steese was from Mill Valley, and in the July 14, 1962 edition of the Daily Independent Journal, an article used the headline How a Marinite Rescued Steam Beer, which included the following in its coverage. SOME THREE years ago the requiem for steam beer was being played, and the sad demise of a California tradition was being mourned. 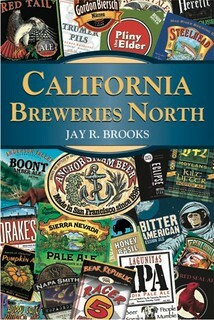 At that time Joe Allen, owner of Anchor Brewery, announced his retirement. 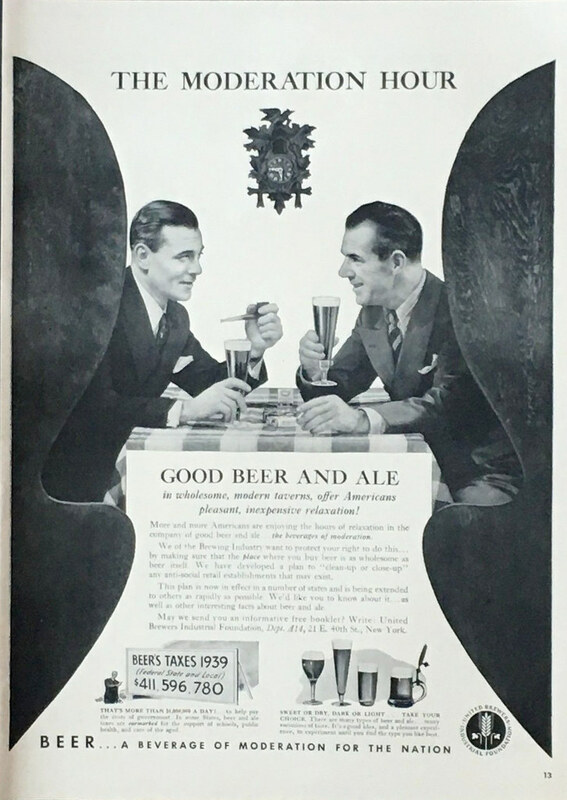 There was no one skilled in the exacting art of steam beer brewing to take his place, and no one, it seemed, who cared to take the time and trouble to learn from the old master. No one, that is, until Lawrence Steese decided he’d like to try. Joe Allen was more than willing to teach. And since his official “retirement” these three years past, Allen has spent his days at the brewery as professor of steam beer brewing. The making of steam beer is not like the brewing of other beers. Steam beer is naturally carbonated; neither additives nor preservatives become it. “The Sincere Beer,” it is called by some. IT IS TRULY a “health food,” its devotees assert, containing more malt and hops than other beers, and without corn or rice to lighten it. And this is Steese’s story, distilled to its essence on Anchor Brewery’s website today. 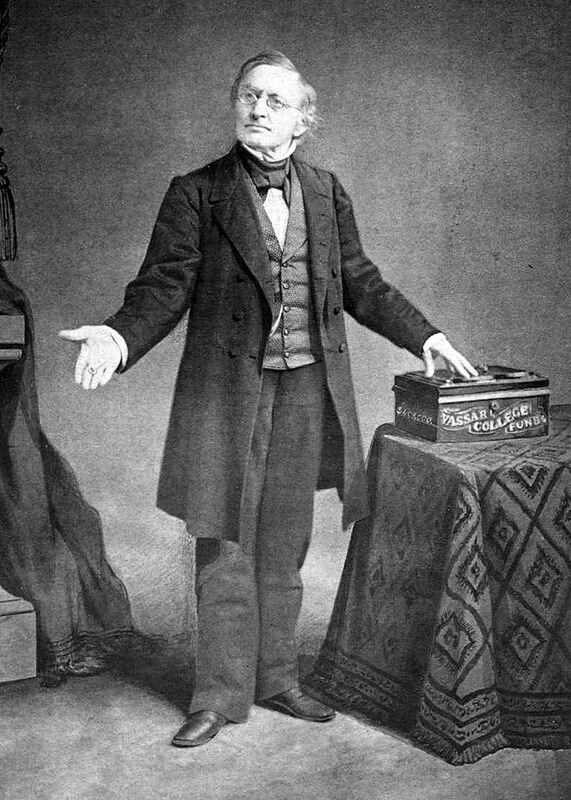 Today is the birthday of Robert Cain (April 29, 1826-July 19, 1907). He “was the founder of the firm Robert Cain and Sons, a brewer in Liverpool, England,” which today is simply known as Cains. He was born on Spike Island, County Cork, Ireland on 29 April 1826, the son of James Cain (1797–1871), a private soldier in the 88th Foot, a regiment of the British Army. There is some dispute over the identity of Cain’s mother. Later family records and stories claim that his mother was Mary Deane, the daughter of Alexander Deane, an architect and mayor of Cork. However, in the entry for his brother William in the Liverpool register of births his mother’s maiden name is listed as Mary Kirk (died 1864). The story of the life of Robert Cain and Cains Brewery is told in Christopher Routledge’s 2008 history of the brewery, Cains: The Story of Liverpool in a Pint, which unpicks many of the mythologies that have developed around the Cain family. Many of these mythologies seem to date back to the 1920s and 1930s, when Cain’s sons William Cain and Charles Nall-Cain were given titles in the British honours system, and centre on the idea that the brewery’s founder had a background in the Irish gentry. Such a background would have made his sons more acceptable to the British establishment at the time. However, according to Routledge, Robert Cain was born in poverty in 1826, the son of a private soldier who would soon be forced to leave the army and travel to England to find work. 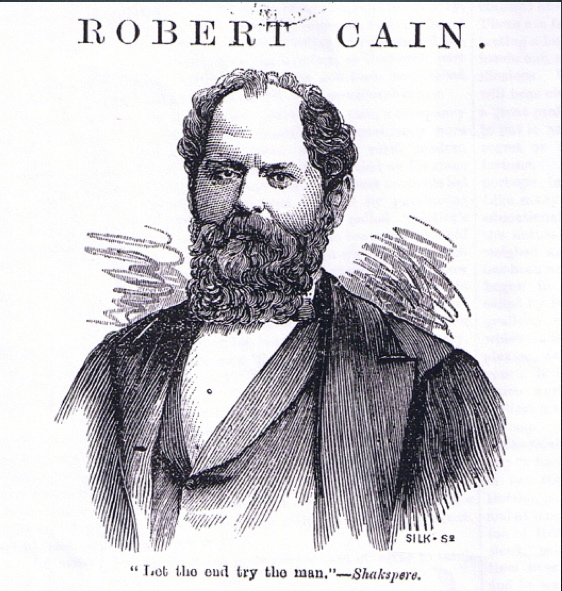 Cain arrived in Liverpool with his parents in late 1827 or early 1828 and grew up in the slums of the Islington area of the city with his older sister Hannah and two younger siblings, Mary and William. When he was in his early teens Cain was indentured to a cooper on board a ship carrying palm oil from West Africa. After working out his indenture Cain returned to Liverpool in 1844 where he set himself up first as a cooper and soon after, as a brewer. According to Routledge he met Ann Newall, the daughter of James Newall, a shoemaker, and they were married on 4 April 1847 in St. Philip’s Church, Hardman Street, Liverpool. 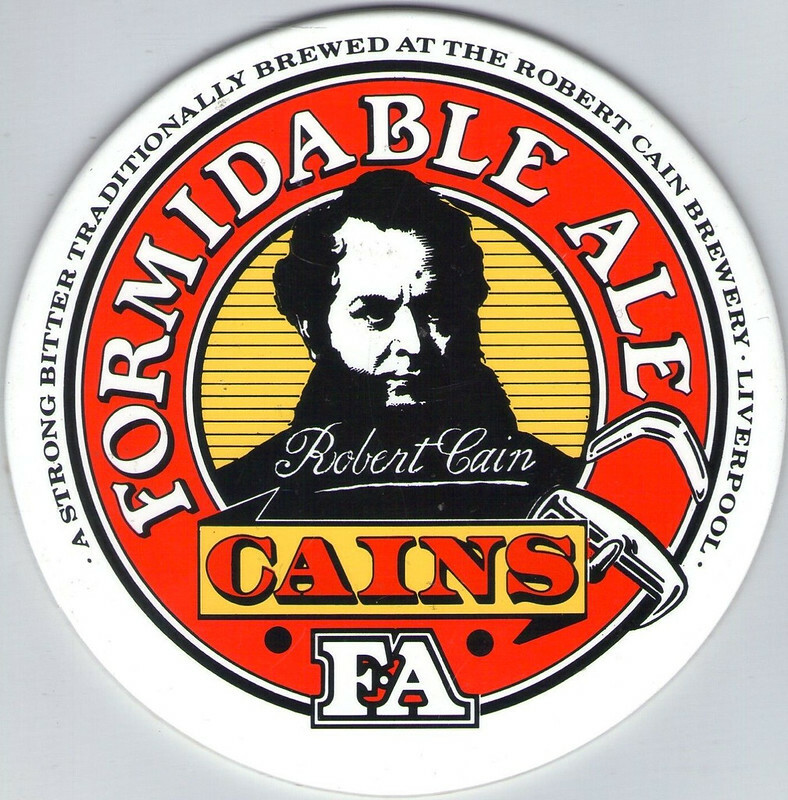 He began brewing around 1848 on Limekiln Lane in the Scotland Road area, but soon expanded his operation to a nearby brewery on Wilton Street and finally moved to the existing Mersey Brewery (now known as the Robert Cain Brewery or Cains Brewery) on Stanhope Street, Liverpool in 1858. At the same time as he was developing his brewing business, Cain also made shrewd property deals and ran a hotel near to the brewery on Stanhope Street; as the company grew it expanded by buying out smaller brewers and taking control of their pubs. 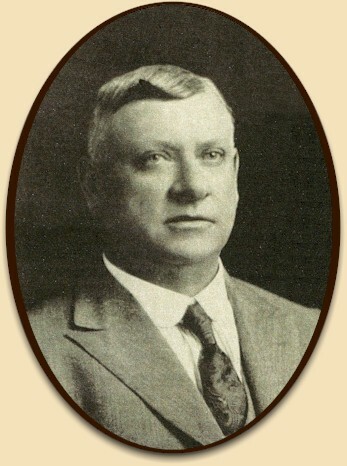 Cain became one of Liverpool’s most successful businessmen with a passion for using the most modern techniques and equipment. He expanded the brewery several times, most notably in 1887 and in 1900–1902, when the landmark redbrick part of the brewery was constructed. By the time of his death on 19 July 1907 Cain was one of Britain’s richest men, leaving a personal estate of £400,000 (around £28 million at 2005 prices). He also had political influence, working behind the scenes to help the Conservative Party maintain control of Liverpool throughout the late nineteenth century. In fact he was so influential in the area of Toxteth Park, Liverpool where he lived that he became known as “King of the Toxteths”. Contemporary reports of his funeral and burial at St. James’s Cemetery suggest as many as 3,000 people attended. The company, Robert Cain and Sons, owned over 200 pubs in Liverpool but is most notable for having built three of the most gloriously extravagant pubs in Britain: The Philharmonic Dining Rooms, The Vines and The Central. These highly ornate and elaborate pubs, built to celebrate Robert Cain’s own success and to demonstrate the skill of Liverpool craftsmen, remain landmark Liverpool buildings in the twenty-first century. 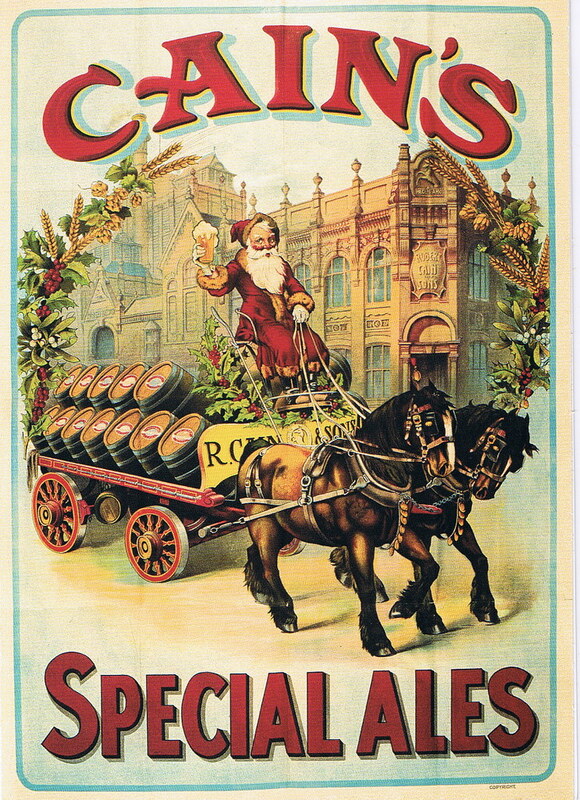 The Cains brewery was founded by Irishman Robert Cain in 1858 when he bought an established brewery. Cain had begun his brewing career aged 24 when he purchased a pub and brewed his own ales. Within 25 years of founding his brewery, Cain had established 200 pubs, including the Philharmonic Dining Rooms, the Vines and the Central Commercial Hotel, which are currently listed as being of architectural merit. His personal mansion had each window arch inscribed with his monogram. 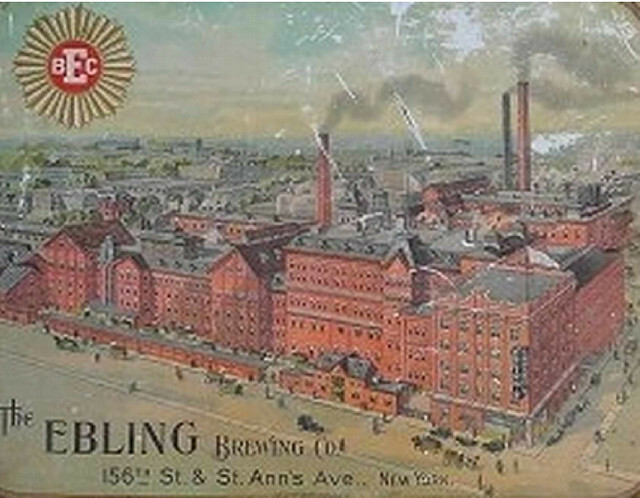 In 1887 construction began on a second brewery. In 1921, 14 years after Cain’s death, the Cains brewery merged with Walkers of Warrington, becoming Walker Cains. Then in 1923 the original Stanhope Street Brewery was sold to Higsons, who continued to brew Cains ales. In 1985, Higsons was bought by Boddingtons of Manchester. 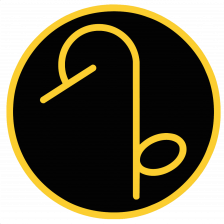 Five years later Boddingtons opted to concentrate on pub ownership and sold all its breweries to Whitbread, at which point the Stanhope Street site was closed. The company merged with Peter Walker & Son in 1921 to form Walker Cains. Peter Walker & Son had a large brewery in Warrington so sold its Liverpool brewery to Higsons in 1923. Boddingtons of Manchester took over in 1985. In 1990 Whitbread acquired Boddington’s brewing operations and closed the then Higsons Brewery in 1990. It was reopened by GB Breweries, who became part of Bryggerigruppen in 1991, and in 2002 was sold to Gardener-Shaw for £3.4 million. The brewery closed in June 2013 with debts totalling more than £8m. Liverpool in the first half of the 19th Century was one of the world’s most thriving ports – awash with visitors from all over the globe, money and opportunity. This was reflected in the stunning rise of Robert Cain, from an entrepreneurial 24-year-old brewing his own ale in one pub, to a rich and influential businessman with the title of Lord Brocket and an estate of 200 pubs. 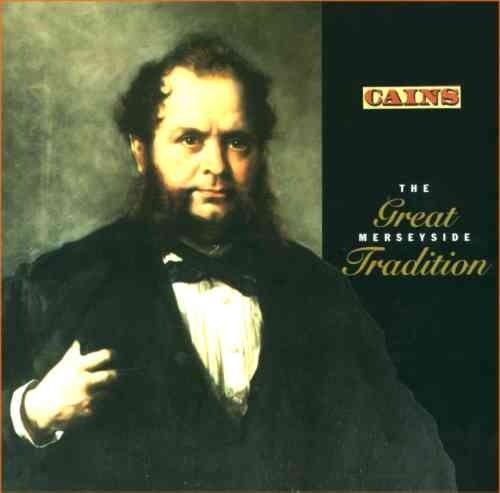 Purchasing the brewery and establishing Cains in 1858, he commissioned the current premises around 30 years later, determined that the business would endure a lot longer than he could. 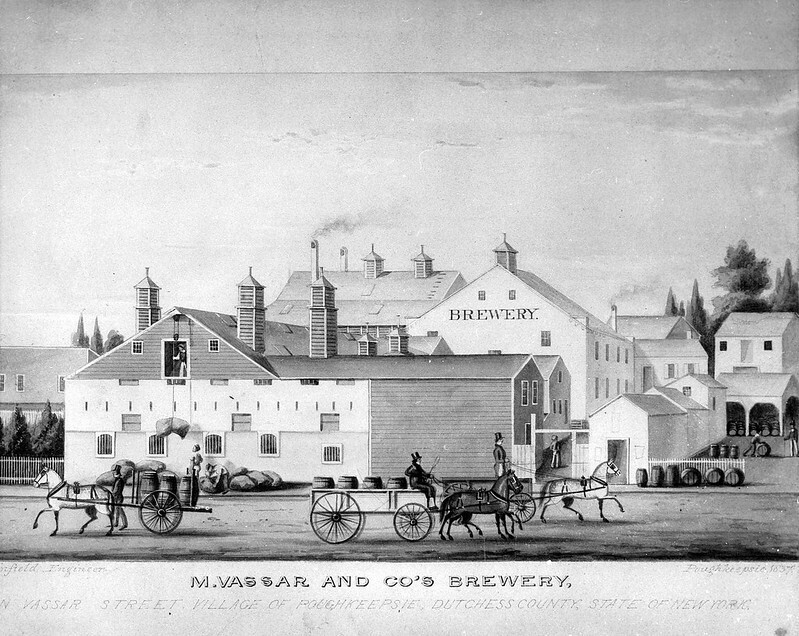 And so his legacy is still evident today, not only in the beers which still bear his name, but in the distinctive design of the brewery itself – The ‘Terracotta Palace’ – and the stunning interiors of famous Liverpool pubs such as The Vines, The Central Commercial Hotel and The Philharmonic Dining Rooms, all listed as having special architectural merit. Born in County Cork, Robert Cain took the path of many poor Irish immigrants and arrived in Liverpool to seek his fortune. As a wide-eyed teenager arriving in the bustling city he could never have imagined a life which would see him create an enduring Liverpool brand, become wealthy, accept the title of Lord Brocket and marry the daughter of a former Lord Mayor of Liverpool. When he died in 1907, over 3,000 people are reputed to have attended his funeral. So how did this man make his fortune, what drove him to continually thrive to make his brewery, pubs and beers the most tasteful and memorable they could be? 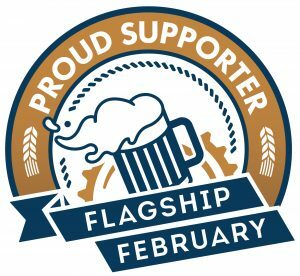 Determined to establish the brewery, Robert Cain started with one pub at the age of 24, brewing his beer on the premises and saving towards the brewery he desperately needed to achieve his dream. As well as this determination, Robert Cain was a perfectionist and a man with a strong belief in himself. If something had his name associated with it, he wanted it to be stylish and impeccable. Even his self-designed home had his own initials etched into the glass of every single window. It was this characteristic which led to the detail he insisted on in his pubs. Detail which has seen celebrated venues such as The Philharmonic Dining Rooms as famous for their ornate marble lavatories and incredible ceilings as they are for their beers. He certainly left everyone involved with the brewery over the next two centuries a lot to live up to. 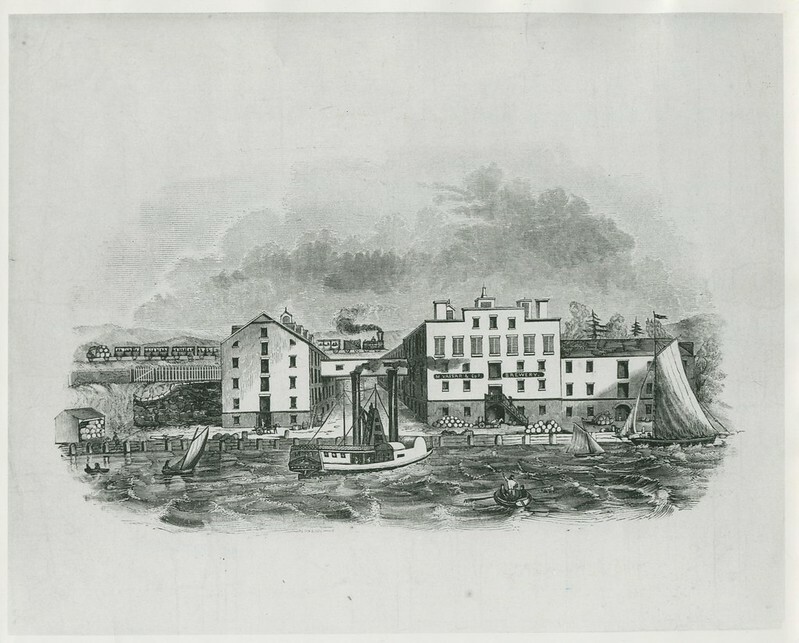 Robert Cain survived his time at sea and arrived in Liverpool in the late 1840s to set himself up as a brewer. He married Ann Newall, the daughter of a shoemaker in 1847 and in 1850 the couple began brewing on Limekiln Lane in the Scotland Road/Vauxhall area of the city. Within a few years the quality of Cain’s brews was such that he expanded the operation, moving to a small brewery on nearby Wilton Street. By 1858 the brewery needed to expand again and supported by his growing collection of pubs Cain bought Hindley’s brewery on Stanhope Street, Toxteth, where the current Cain’s brewery now stands. 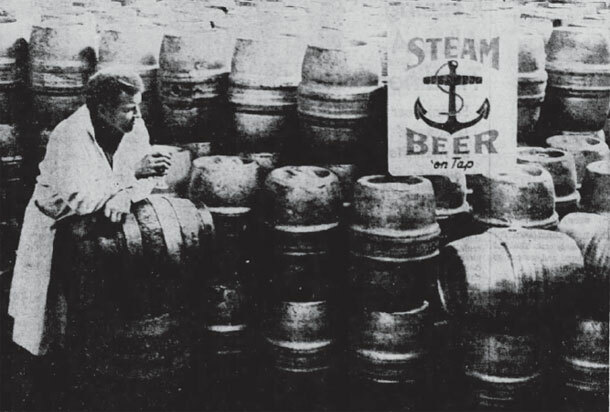 The Stanhope Street brewery, which Cain named the Mersey Brewery, was much larger than Cain’s previous breweries and included a great deal of brewing equipment. Over the following decades Cain updated and developed the site, pulling down nearby court-style slum housing to expand. By the 1880s, when Cain and his large family (he had 11 children) were living in a mansion on Aigburth Road, the brewery was one of the largest in the city. Cain himself was an important figure in the powerful Constitutional Association and had considerable influence on local politics. He recruited brewery workers to campaign on behalf of Conservative candidates for the Council and became known as “King of the Toxteths.” He was generally well-liked and respected by his workers and the Cain family were well known in the area of Aigburth and St. Michaels. 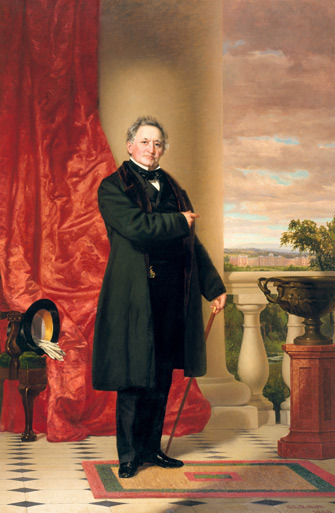 Like other Victorian gentlemen Cain enjoyed having his portrait painted and was a patron of the arts. He sat for the well-known Liverpool artist William Daniels for at least two portraits and was also painted by George Hall Neale, a Manx painter who lived and worked in Liverpool in the late nineteenth century. Cain was also a collector of rare plants and was especially fond of orchids. By 1896, when the company became Robert Cain and Sons Ltd, Cain was one of the wealthiest and most powerful men in the city. 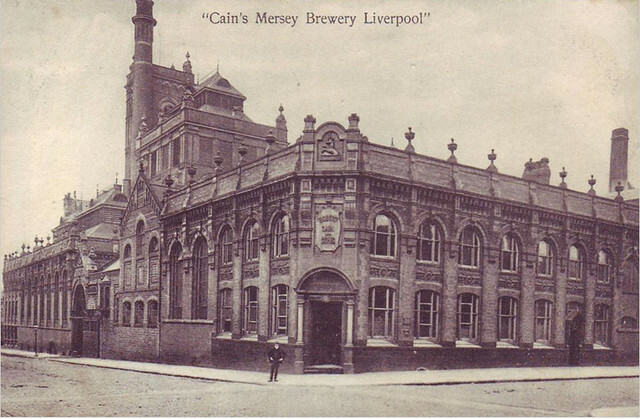 Cain’s “Superior Ales and Stouts” were available across Liverpool. After the death of his wife he moved to an even larger house near Hoylake and was followed by most of his children, who lived in their own flamboyant mansions nearby. As the twentieth century began Cain began to move control of the business to his sons Charles and William, who later became noted philanthopists, supporting medical charities, including the Women’s Hospital and the Bluecoat Hospital, as well as providing money for aircraft during World War I. William Cain donated his house at Hoylake, known as Wilton Grange, to the nation as a convalescent home for injured officers. Both sons became baronets and Charles Cain became Lord Brocket in 1933. Robert Cain fell ill in late 1906 and after six months of declining health he died at home on July 19, 1907 during a heatwave. His lavish funeral on July 23 took place on a day of thunderstorms and torrential rain, but despite the bad weather a crowd of three thousand attended and had to be restrained by the police at the gates of St James’s. Official mourners included aldermen, city dignitaries and businessmen, including the brewer Daniel Higson, whose company would later buy Cain’s brewery and operate it for almost 70 years. Also in attendance was Cain’s friend George Hall Neale. Interestingly Cain’s father James, who died in poverty in 1871, and with whom Cain had very little contact after the 1840s, is also buried separately at St. James’s. 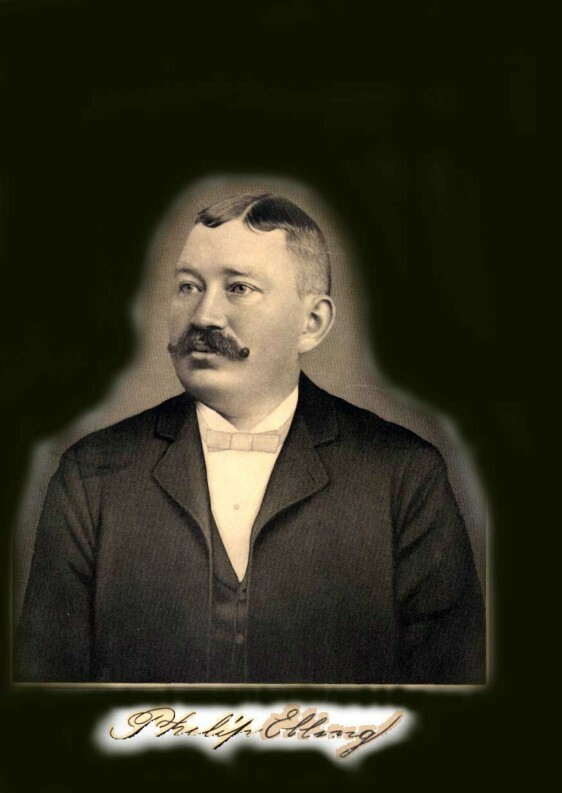 Historic Beer Birthday: Philip Jacob Ebling Jr.
Today is the birthday of Philip Jacob Ebling Jr. (April 29, 1861-September 26, 1896). 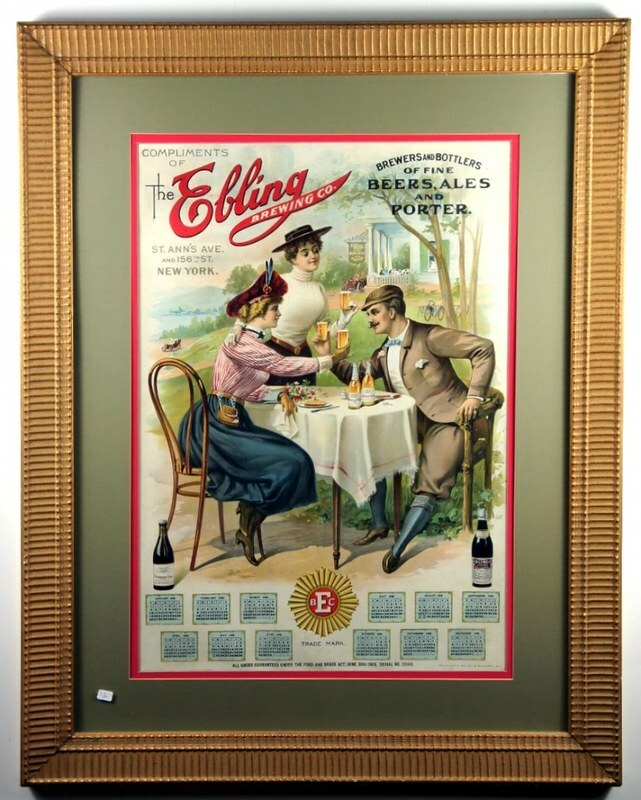 He was the son of Philip Ebling, who along with his brother William Ebling founded the Ebling Brewing Co., which was known by several different names during its life from 1868 to 1950, including the Philip Ebling & Bro. Wm., Aurora Park Brewery, Ph. & Wm. 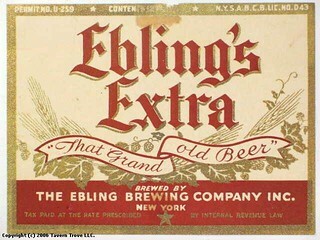 Ebling Brewing Co. and Ebling Brewing Co., which was its name almost the entirety of the 20th century, both before and after prohibition. 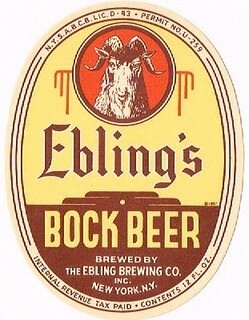 Philip Jacob Ebling, son of Philip and Catherine (Baum)Ebling, was president of the Ebling Brewery when his father Philip Ebling died in 1895. He Then directed all of its affairs until death called him in 1896. Philip Jr. was a member of Wieland Lodge No. 714, Free and Accepted Masons; he was also a member of the Schnorer Club and the K.O.S. Bowling Club. Philip Jacob Ebling married at Union Hill, New Jersey, April 12, 1894, Amanda Anna Peter, born March 01, 1872, daughter of William and Caroline (Aeppli) (Ohlenschlager) Peter. He had one child her name was Priscilla Katherine Philipine Ebling. The brewery apparently aged some of their beer in Bronx caves, and for some of their beers, like Special Brew, whose label boasts that the beer was “aged in natural rock caves.” Which sounds crazy, but in 2009, road construction crews in the Melrose section of the Bronx found the old caves, which was detailed by Edible Geography in Bronx Beer Caves. 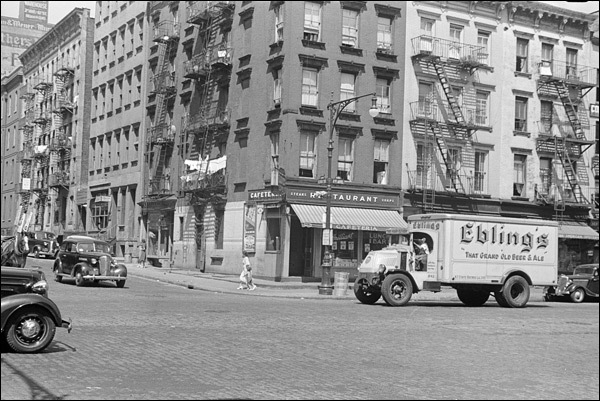 An Ebling beer truck on 61st Street in New York in 1938. A 1908 calendar from the brewery. 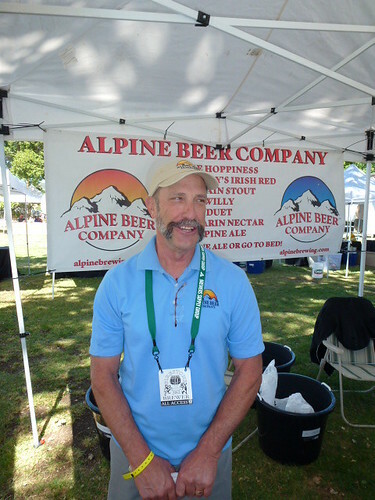 Today is the 64th birthday of Pat McIllhenney, brewmaster and founder of Alpine Beer Co. near San Diego. Pat makes some amazing hoppy beers. 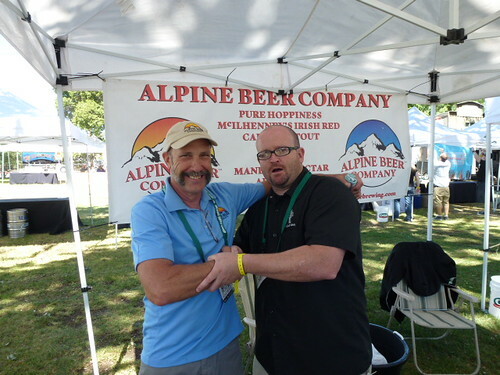 Unfortunately, his beers are hard to find up our way, but that hopefully will be improving since last year Alpine was acquired by Green Flash Brewing. Join me in wishing Pat a very happy birthday. Pat manning his booth at the Firestone Walker Invitational. 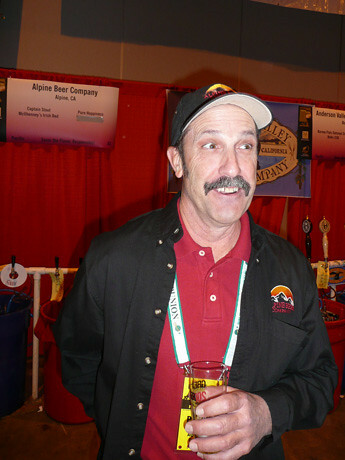 Pat at GABF in 2008. 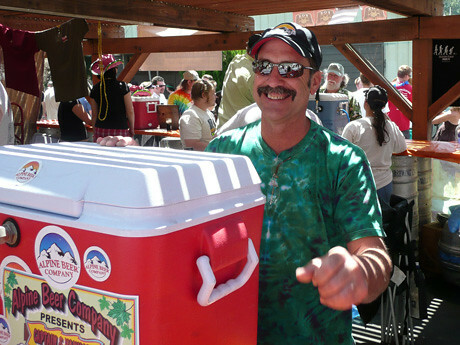 Pat at the Boonville Beer Festival, also in 2008. Pat with Tomme Arthur at the inaugural Firestone Walker Invitational four years ago. 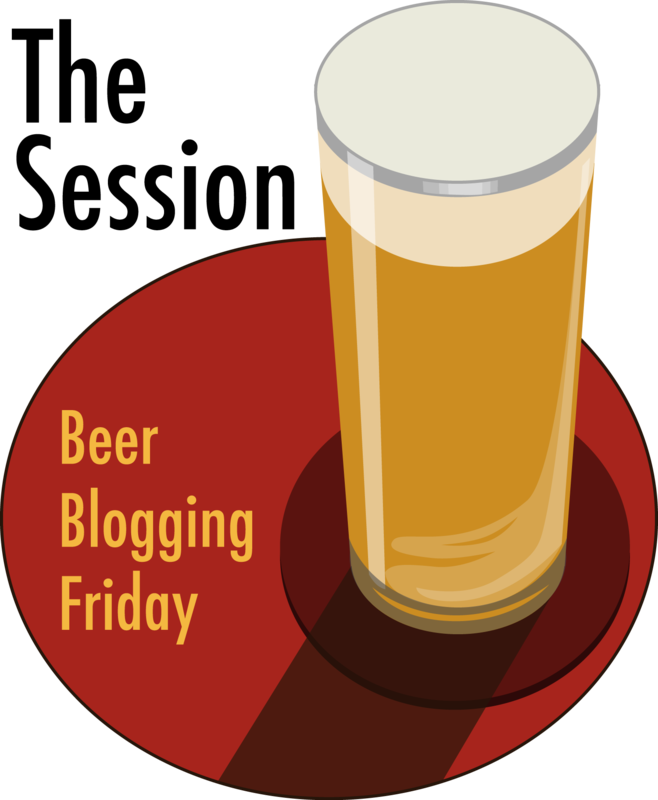 Today is the 40th birthday of Abram Goldman-Armstrong, a Portland-based beer writer who is the managing editor of the Northwest Brewing News and also writes online at Brewsville. 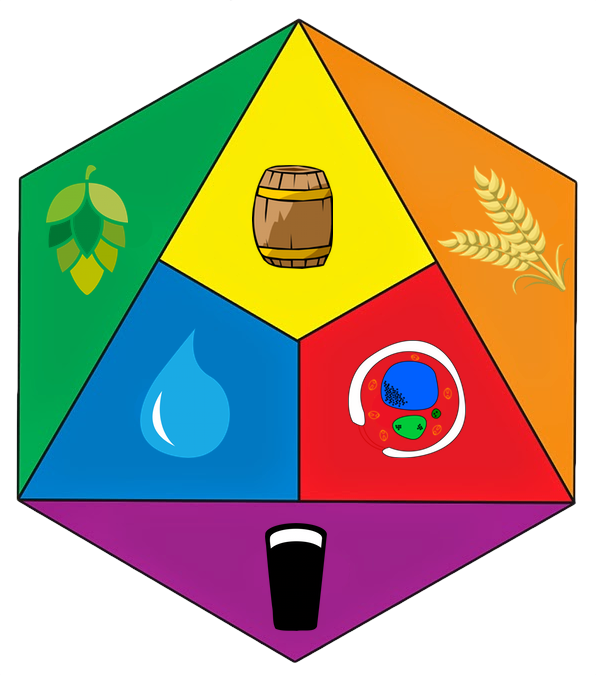 Abe also is the organizer of the North American Organic Brewers Festival and by day works in construction. When Abe was writing for the Celebrator Beer News several years back, during GABF we spent an evening drinking out and about the city eventually ending up at the Denver Diner, during which time I discovered I’d spent the entire evening calling him by the wrong name — d’oh. Anyway, these days I can get his name right. Join me in wishing Abe a very happy birthday. 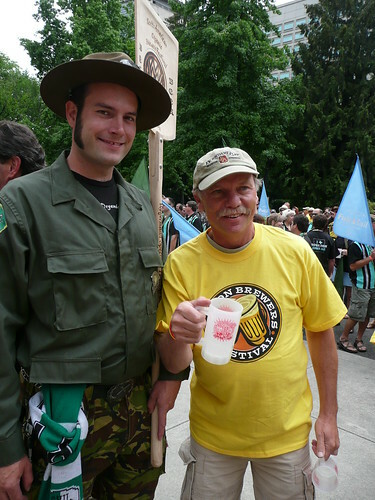 As “Beer Patrol Man” at the 2009 OBF Parade. 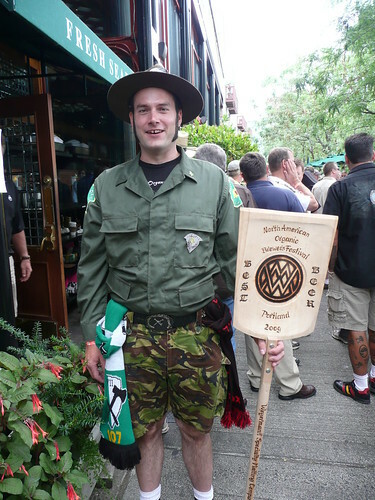 With Ed Bennett at the OBF Parade, also in 2009. 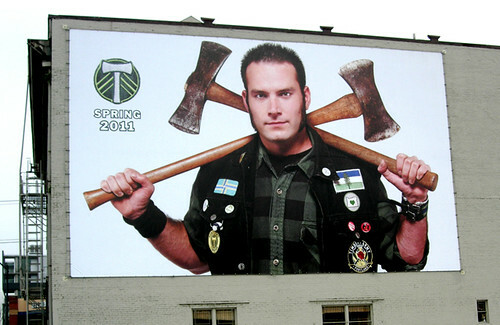 Abe’s also a big fan of the local soccer team, the Portland Timbers, and recently appeared on a billboard for the team as they joined the MLS a few years ago.